I recently had the opportunity to watch Spare Parts, the true story of four Hispanic students from the real robotics team from Carl Hayden Community High School, an inner city school in Phoenix that signed up for an underwater robot competition funded by NASA. With 800 bucks, used car parts and a dream, they build an ugly robot that was able to defeat engineering powerhouse and reigning robotics champion, MIT. I wanted the kids to see this movie because they are both inclined to work in STEM fields and I heard so many good things about this movie that I just couldn't wait until it came out on DVD. The movie is mainly focused on the team building a robot but there's a parallel story that is as interesting as their journey building the robot and entering the competition. You see, all four students had entered the country illegally; three out of the four were undocumented immigrants. As a DACA recipient and undocumented immigrant most of them did not qualify for in-state tuition at most universities. Cristian Arcega, who was called the genius of the four students, is now 26 and working at Home Depot. 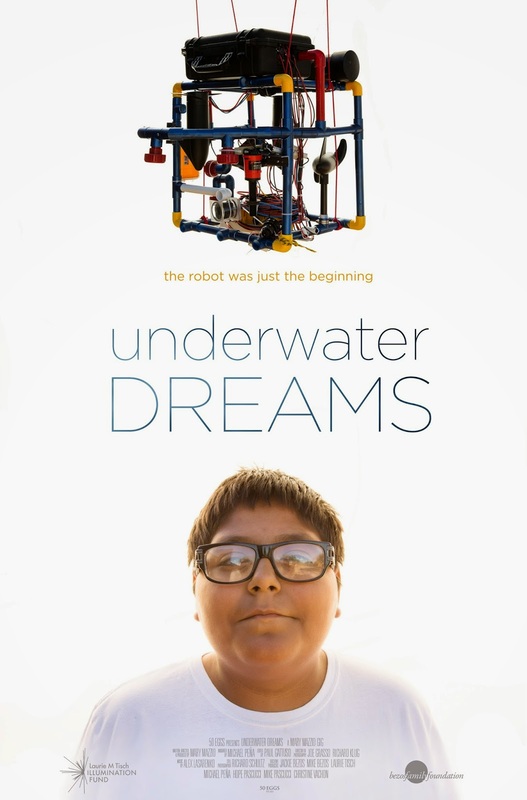 He dreams on becoming an electrical engineer and after the movie and a new documentary called “Underwater Dreams” that feautures their story as they build the robot and win the NASA competition, the community has come forward and are raising money to send him to college. If you would like to help Cristian achieve his life long dream please visit his fundraising page. Every little helps, and there's nothing worse in life than seen someone not achieve their full potential. Help Cristian achieve his underwater dreams!